Me and My Pink Mixer: Happy New Year and 40 Miles in January! Happy New Year and 40 Miles in January! I've had some computer issues, so I haven't been able to blog lately, but hopefully I will be up and running again soon! A sweet friend let me use her laptop, so I could write a quick post. Like many of you I have been trying to start the year off right by eating healthy and exercising. 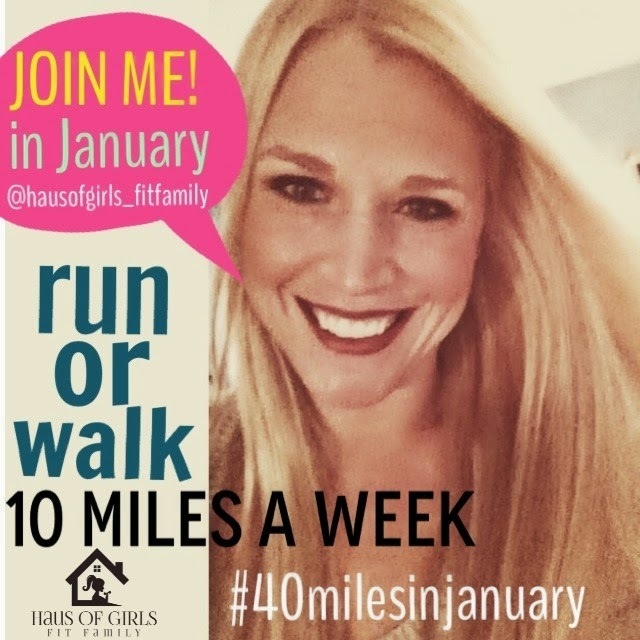 I'm joining Haus of Girls Fit Family and trying to walk/run 40 miles in January. I've done 12 miles so far. We can cheer each other on!! I'm also trying to do more meal planning so we don't eat too often. I've done really good so far and will share some of my meal plans soon.